Nick was born in New Jersey, but grew up in Los Angeles. He attended and graduated with a BFA in film studies from the University of Utah in 2012. But always spent time in the ceramic studio. Shortly after graduation he decided to take a trip to Japan in 2013 to visit different potters and see the sights. Upon returning he decided to make clay more than a hobby and returned to school to complete a ceramic portfolio and apply to residencies. 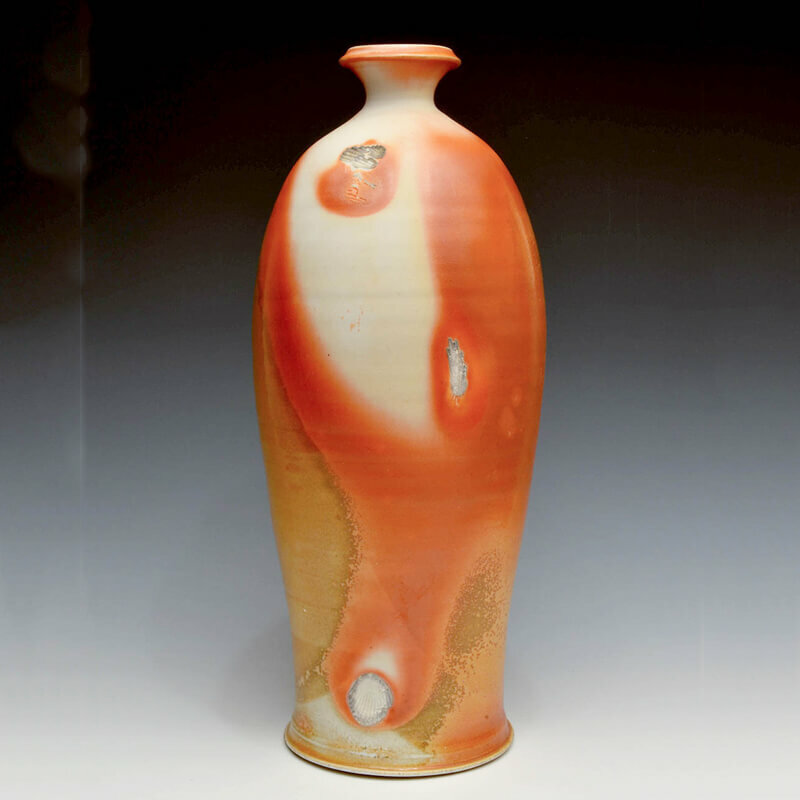 In 2015 he moved to Virginia to attend The Cub Creek Foundation for a year long wood firing residency. He is currently attending the working artist program at Longwood University in Farmville Virginia until the summer of 2017. Stalwart: Loyal, reliable, and hardworking. I think that this word perfectly sums up the essence of what I enjoy most about a good pot. I make wood fired pots. They are not always flashy and bright. They are not immediately easy on the eyes; their personality and beauty is released slowly. The work I strive to make has heavy influences from the forces of nature. I get lost in my environment and its geology. Natural tectonic forces bend and shape stone and move the dirt beneath our feet. These same forces erode the river banks and soften the edges of mountain peaks. I try to create and capture small moments of these forces in my work. A frozen moment in time. Attempting to harness the power of wood and flame to alter and attack the pots I have created. My hope is to create objects that feel as though they can and will persist forever. They have always been there and always will be there. Demanding to be engaged with.